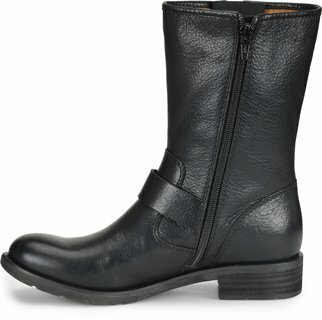 I bought these boots for a cute stylish addition to jeans. 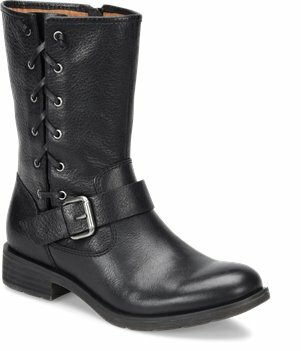 They are nice if you have a wider calf and find the taller boots uncomfortable. The first time i wore them, they felt like I have owned them forever. I normally have to order shoes and boots in a wide but i find that sofft brand are made generous enough that i can order a regular m instead of w.
Very cute with some edge thrown in. I love these boots.